3D characters animation play the crucial role of leading us through stories, interactions in games, CG movies and interactive, real-time environments. A high degree of character modeling and rigging skills is necessary, design of custom scripted controls and animating the character from head to toe is a time-consuming challenge that leaves most 3D tool users without the option to incorporate 3D characters into projects within a short amount of time. 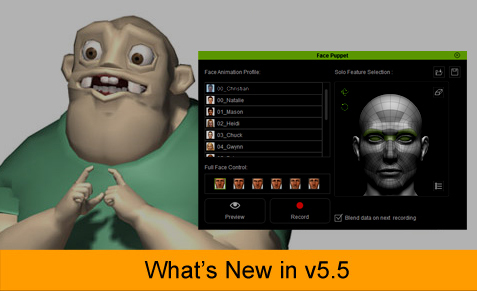 iClone 3D Character Animation Pipeline now includes the first universal facial control system for any 3D character. Once requiring a team of animators and weeks of work to bring characters to life, animation pros are now able to accomplish their goals in a matter of days and with minimal production staff by using the iClone 3D Character Animation Pipeline. 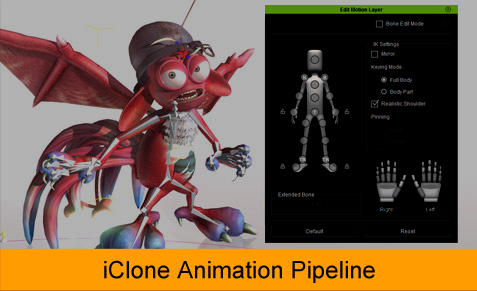 If you are already an iClone and 3DXchange user, then please see how the new 3DXchange pipeline can help you, or watch the 3D character animation pipeline tutorials to learn more.